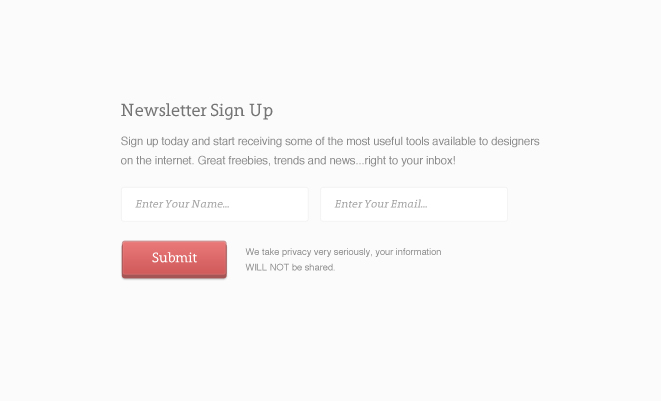 This is a super simple, clean email sign up form PSD with a very loud button. A heading, small section of text, two fields, a button and a privacy warning…what more do you need?? Get your visitor’s attention and get them signed up!